Birds can be a nuisance when they invade your property and cause disturbances or damage. Unwanted birds can be frustrating, especially when they make your environment untidy and polluted with their droppings. Pest birds can be very huge in size, meaning the droppings can really create a mess in your residential area or commercial area leaving it unsanitary. It can also be hard to sleep, relax or even work when these birds make loud racket all the time. Since they also need shelter, the birds can end up making their nests on your property and in areas that are not appropriate. This kind of disturbance from pest birds might require that you find ways to get rid of them. Getting rid of pest birds can be a tedious process because they fly away easily and you can never be sure that your traps will work especially if you are dealing with large sized birds. But just like any other pest, it is possible to get rid of pest birds from your property so you can enjoy some peace of mind and keep your surroundings free from pollution. 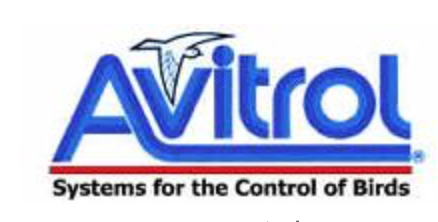 Avitrol is a baiting system and the only one that is used in controlling birds. It is a chemical that is used as a frightening agent to move the birds from their current location and away from your property. This is essentially good because birds are beautiful and they are part of the system and frightening them does not equal to killing or exterminating them. The bait is placed in areas birds are likely to pick and eat. After eating, the birds are affected in such a way that they begin emitting distress cries and alarm cries. They can also make visual displays characteristic to the bird species and this frightens the entire flock away from the site they have inhabited. The baiting system is registered with the U.S Environment Protection Agency as appropriate for use as a bird repellent. It controls sparrows, pigeons, crows, starlings, grackles, blackbirds and cowbirds and gulls. The system is generally effective in dealing with any kind of bird you might be facing on your property. Just like getting any other kind of service, it is important to take your time choosing the best pest control company. Toro is the best company you can use for your bird control needs. We offer the Avitrol baiting system after evaluating your site and determining that indeed the system will be suitable to get effective results. Apart from offering bird control services we have a variety of other pest control services that you can enjoy to keep your space pest free. Some of the things that should be considered when hiring pest control services include experience, reputation, qualification and certification. Toro Pest Management has qualified technicians and exterminators. We also have enough experience in controlling pests and protecting your home or office from pest infestations. We will get rid of the annoying birds on your property fast and effectively.